We can all agree that Spring has sprung in Middle Tennessee, and nature is blooming everywhere we look. It’s a time when we’re excited to go outside and enjoy some sun. And guess who else enjoys the Spring? Annoying pests, not to mention …. TERMITES!! Spring is the time that termites swarm and form new colonies. Learn more about termites in one of our previous blogs called “The Termite Swarms Are Coming! Is Your Home Protected?” And, of course, call Bug Authority if you think you have a termite problem. This year, when you do your Spring cleaning, do some Spring pest control too. So here are some tips to get you started. 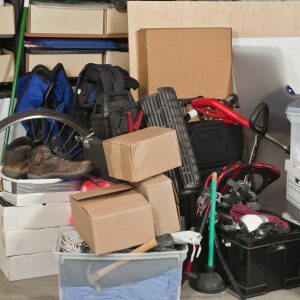 Spiders, silverfish, and other insects nest in cluttered areas like attics and garages. Cardboard boxes and paper bags are favorite hiding places for these tiny bugs. Get rid of the clutter. Be sure to remove standing water from around your home and repair any sources of leaks. Cockroaches, flies, and mosquitoes love the water, and they can go straight from your “beach” into your house. Store pet food in air tight containers. Open storage containers attract rodents and insects. Insects and rodents can squeeze through the smallest of cracks. So seal small gaps in window frames, door frames, and around plumbing pipes. Leaves and moisture in beds around your home can attract insects. We are your expert partner in solving your pest problems. Give us a call today at 615-472-1292. Ask about our initial pest control discounted offer that’s available to anyone with a new annual service agreement.